Retail world is constantly transforming with changing market trends, millions of customers and market globalization. In this period of transformation and swift change, retail systems are becoming business critical and are evolving to provide competitive benefits. With little or no margin for error, they need experienced partners who can perform unbiased QA. Retail sectors require proven Testing Services that address retailer’s need for new and better ways to process payments, mitigate risk and verify a wide range of end user scenarios. QALogic delivers comprehensive Testing Solutions for retailers based on rich domain expertise and strong technical capabilities. 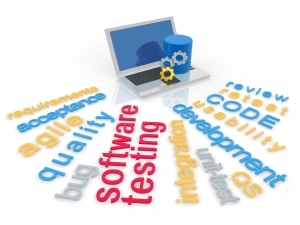 Tactfully managing device/firmware testing needs throughout the SDLC and combining localization testing with functional testing, Operational Acceptance/Field testing, device testing are some of the special services we offer to cater to the quality needs of this domain.